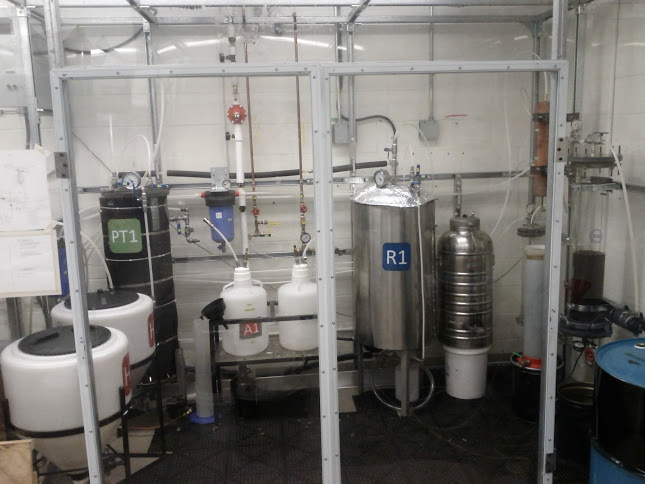 ESW’s Biodiesel Project is an effort to produce biodiesel on a pilot scale for use in the campus community. 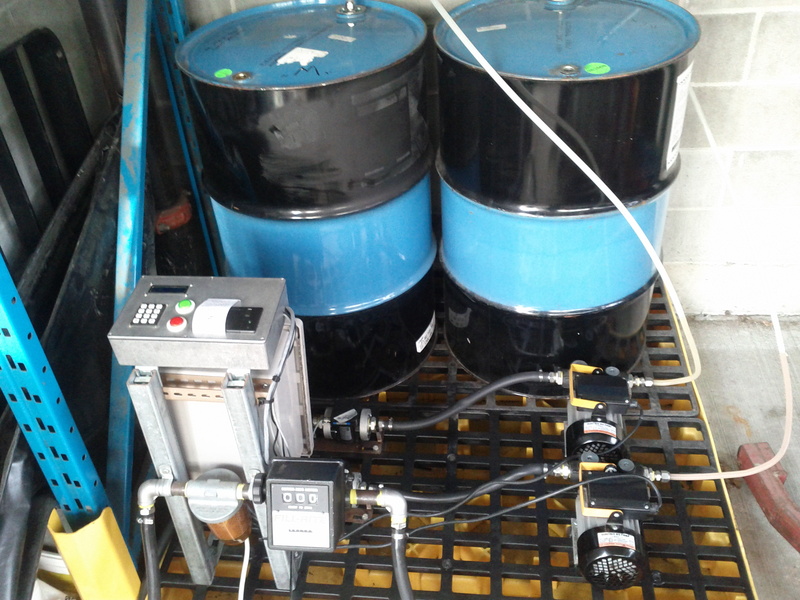 Over 1000 liters of blended fuel sold! 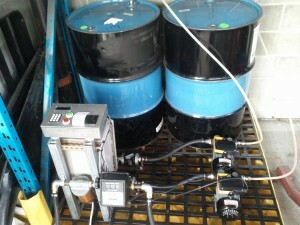 Over 250 liters of biodiesel sold! 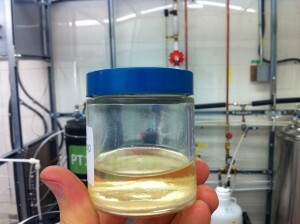 Funding from AMS Sustainability Fund, UBC Applied Sciences PAF Fund, Cooperators IMPACT Fund and UBC Work Study/Learn. Guidance and support from Dr. Naoko Ellis, who is the champion of the project. ASTM D6751 defines biodiesel as mono-alkyl esters of long chain fatty acids derived from vegetable oils and animal fats. We’ll talk more about what that means at Biodiesel Chemistry. UBC’s Climate Action Plan calls for substantial reductions in greenhouse gases. 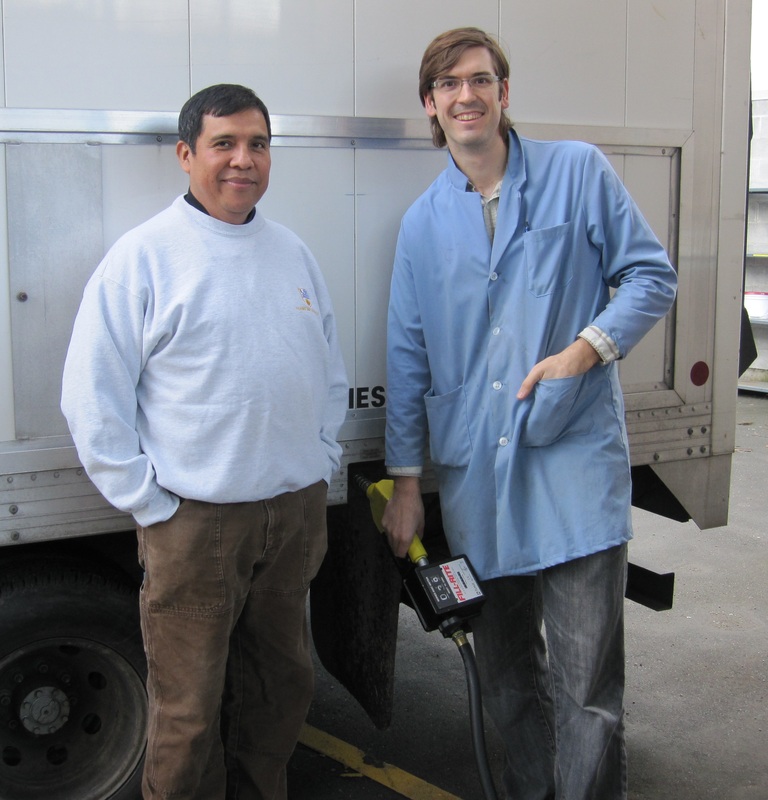 Biodiesel can be carbon-neutral over its life-cycle and is inherently low-sulfur. These qualities mean that biodiesel can contribute meaningfully to achieving UBC’s Climate Action Plan. Biodiesel can be produced economically from waste oils produced by the campus community. 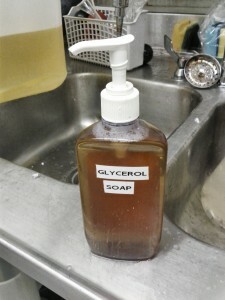 As a side project the club uses the glycerol by product to produce liquid soap for us in the chemical engineering labs.